Authorities in Greece’s second-largest city are planning to evacuate up to 70,000 residents from their homes so experts can safely defuse a 250kg of an unexploded World War II bomb. The evacuation in Thessaloniki is set for Sunday, and people living 2 kilometers (1.2 miles) around the bomb site will be kept away from the area for up to five hours, officials say. 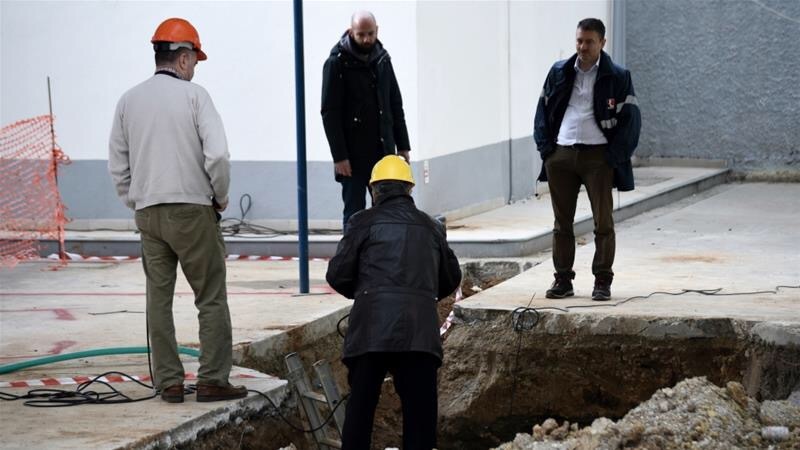 The bomb was found 5 meters (over 16 feet) deep near the central railway station in western Thessaloniki during work to expand a gas station’s underground tanks. The existing tanks have been emptied, but previous attempts to remove the bomb were unsuccessful. Deputy regional governor Voula Patoulidou told the Associated Press on Monday that military and police authorities will try to defuse the bomb on the spot. The device, dropped during an air raid on the northern city in the 1940s, was unearthed in a densely populated area last week during works to expand fuel storage tanks. Bomb disposal experts will attempt to tackle the device, found near a petrol station at a depth of 5.5m, on Sunday. More than 300 disabled people and bed-bound patients were the first to move out on Saturday morning, at the start of what is being described as the biggest peacetime evacuation in Greece’s history. The departure of all residents within a 1.9km radius of the bomb site, affecting three neighbourhoods in the west of the city centre, is due to be completed before 08:00 GMT on Sunday. Refugees living in a nearby camp will also have to be evacuated, the migration ministry said, without specifying how many. Evacuation is “obligatory”, regional security chief Apostolos Tzitzikostas told reporters on Friday. The operation is unprecedented in Greece, “where a bomb of this size has never been found in an area this densely populated,” Tzitzikostas added. Regional authorities said the entire operation would take up to eight hours, but local military spokesman Colonel Nikos Phanios was more cautious. “We don’t know what we’re going to find,” he told the AFP news agency. Defusing the bomb and then moving it to a military shooting range “could take us up to two days”, he added. Up to 1,000 police officers have been mobilised for the operation, with residents given several days’ warning via the media, leaflets and posts on social media. Colonel Nikos Fanios, an army spokesman, said the device’s exterior was too degraded to be able to determine whether it was a German or an Allied bomb. But one resident said he remembered the day it fell. 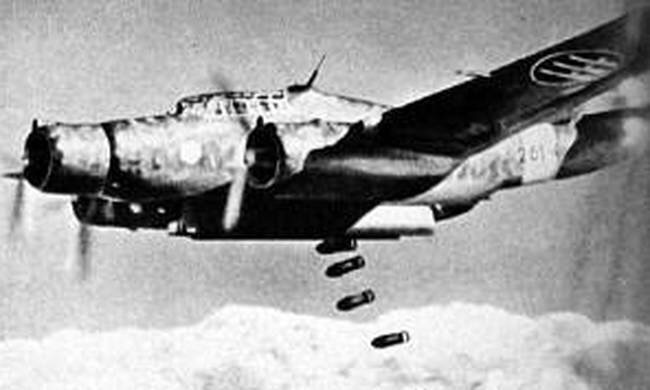 “The bombing was done by English and American planes on September 17 1944. It was Sunday lunchtime,” Giorgos Gerasimou, 86, whose home is 800 meters from where the bomb was found, said. “We could see the planes coming,” he told the Associated Press news agency. 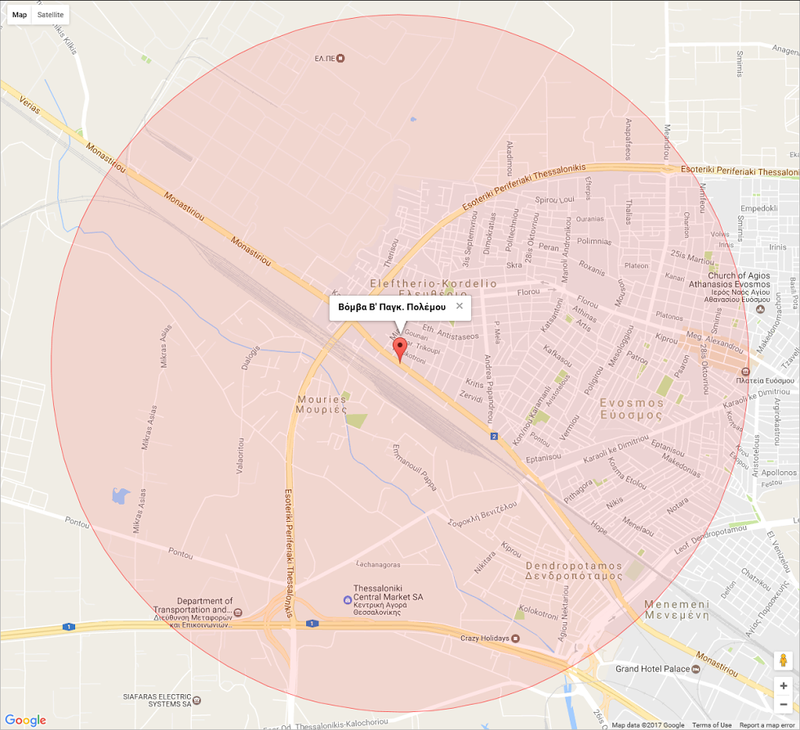 They were targeting local German rail facilities, Gerasimou said. Nazi Germany occupied Greece from 1941 until October 1944. A 13-year-old at the time, Gerasimou said he and his friends would go to the railway station each day for food rations. Another one of his friends was not so lucky. Ten-year-old Panagiotis was killed in the air raid, Gerasimou said, clutching a photo of the boy that he has kept to this day. During Sunday’s evacuation, residents will be transported by bus to schools, sports halls and cultural centres elsewhere in the city while the exclusion zone is cordoned off. Thessaloniki residents were facing disruption on the bus and train networks, with facilities set up to host evacuees in need of shelter. Next Next post: Spartan warrior, from the Isle of Samos, 525B.C.